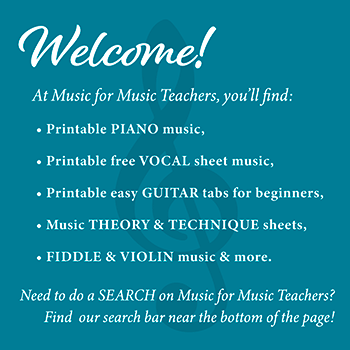 Beginning piano lessons ... Help! My child is not wanting to go to lessons anymore! I have a little girl who is very high functioning on the spectrum. (Autism spectrum.) She just turned 6 and has been in piano for almost a year. At first, she was really excited. She loved her lessons and she loved to practice. And she literally sped through her book! We started her on Bastien Primer A. As she progressed, she did not like to practice (which I assume is normal for most children) but she still liked to go to her lesson. Now she does not like to practice OR go to her lesson. She tells me she does not like to play the piano. But she's REALLY GOOD at it. We have lately stumbled into some problems. I've realized that she isn't doing much note reading. She memorizes. I'm okay with that but I want her to also read notes. So, I'm trying to gauge what we should do. She is such a perfectionist that she knows if it's wrong. And then she has anxiety and meltdowns. I don't want to ruin music for her. But at the same time, I know that most people who end up playing the piano had to go through years of practicing even when they didn't want to. So how do I know when to just push through and make her practice, or when to either quit or find a different teacher so I don't ruin music for her? She is so musical and it would be a shame to make it such a negative thing. If that happens, it will be permanent and I may never be able to give her that joy of music again. If you have any thoughts on this, I would love to hear them. Thanks so much! I want you to know that what is happening is pretty common with young - and older - children, musically-inclined or not. I agree that the way you choose to deal with it is important. If it is at all possible, I would try to get her to FINISH OUT the year. This is a good lesson for children, understanding that it is good to commit to things for a specified period of time, and then take a break from it, if desired or necessary. That is so young. But completely aside from the musical aspects of this situation, it is important for her to understand that teachers & people in general who have become part of one's life, ought not to be tossed aside quickly without some consideration. I would NOT be concerned with note-reading, aside from note-reading games (you can find lots of good ideas around the internet - check out www.SusanParadis.com - she has lots of FREE games you can print out, and cute ideas & free music for little ones). Note-reading WILL come. One of my own daughters, a rather brilliant girl (didn't get it from me!) did not read until the age of 8. Eight! We were worried & frustrated. But inside a few months she was reading college-level English. Instead, I would seek out music that she loves, and see if her teacher would be willing to adapt it for her skill level. Every new piece of music will have some opportunity for note-reading practice, even if she quickly memorizes it. Has she seen the newest Cinderella movie? There's a sweet song called "Lavender's Blue" that Cinderella sings, which is definitely an early beginner song. I have made a setting of the music for my youngest students, as the song is public domain. The one shown here even has letters inside the note heads. Have you tried the song "Indian Dance"? Again, this song can be printed with lettered notes. When coupled with a left hand chord, it gives children a feeling of power! I don't know your daughter, of course, but if you really believe that music must be an important part of her future, of her life, then I would be matter-of-fact about it. Not emotional, and not susceptible to tears & melt-downs on her part. If you are even-keeled with your little perfectionist, drama will be minimized. You need to be the adult. But don't hover - help her a little bit, but not too much. This needs to belong to her. Let her stumble around a bit with her new music, as long as you have a schedule that keeps bringing her back to it over the course of the week. It's not surprising that she is not wanting to go to lessons now. This might just be temporary, and another teacher might NOT be the answer. Stop and think about it - how many classes have you signed up for as an adult, and when it came down to it, you just wanted to stay home and "veg" out, after all? It takes a lot of drive and self-discipline to dedicate yourself to any form of self-improvement, let alone having to BE someplace once a week. Children aren't born with that self-discipline. Adults grow weary - certainly kids do too! Perhaps a weekly treat AFTER lessons, that comes to be associated only with lessons, would help motivate her. You can make it understood that, just as learning to read, and just as some form of schooling, are expected of her, so will becoming adept at playing piano. Maybe not today, maybe not all at once, but over time. The carrot & stick approach really works well ("No snack, no whatever - until I have heard all your songs, then you can go play," etc.). And perhaps there can be some wheeling & dealing between the two of you from time to time. By the way, are you attending lessons with her? At her age, I think it is absolutely essential. I'm not thinking about the learning dynamics, but about your daughter's comfort level with her teacher. No way would I leave my child alone with another adult or even an older child, until that person had - somehow - earned my deep trust. Does that sound like a lot of work on YOUR part?